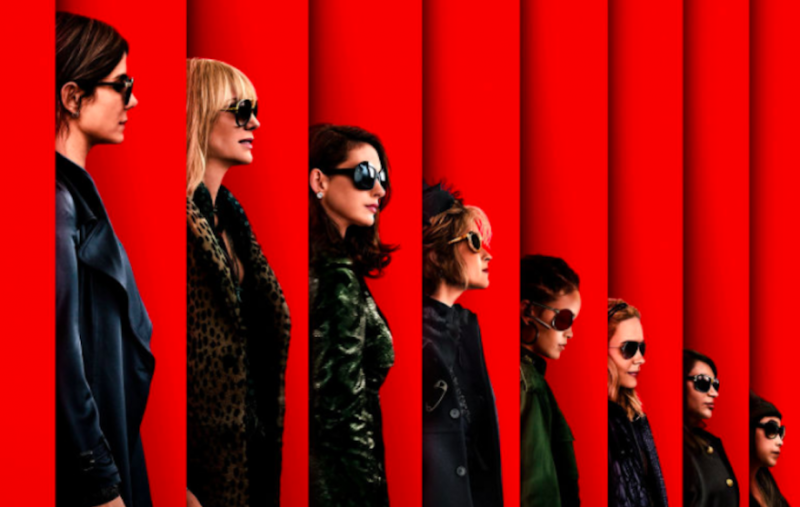 Ocean's 8 is an upcoming American heist comedy film. The movie is directed by Gary Ross and written by Ross and Olivia Milch and already there is so much of excitement around. The movie stars 8 wonderful and extremely powerful women of the era which are Sandra Bullock, Cate Blanchett, Anne Hathaway, Mindy Kaling, Sarah Paulson, Awkwafina, Rihanna, and Helena Bonham Carter. Now, I guess the excitement amongst the audience is justified. These are not just any women but the movie cast is heavy with A-listed actresses. Usually, people have a notion of thinking that actresses never come together or have too many insecurities to work with one-another. This movie and their banter with each-other is a tight slap for myths like that. The movie is a spin-off of Steven Soderbergh's Ocean's trilogy and many were actually quite furious because originally it was a men-heavy film and many thought it would not go well like the ‘Ghostbusters’. The plot centers on Bullock as Debbie Ocean, the sister of actor George Clooney's alter ego Danny Ocean from the previous movies in the franchise. Bullock's character plans the heist of the century at the Met Gala in New York City. Interesting concept which shows the obsession of women for fashion but at the same time how badass and smart they can be when time needs be. The way they are promoting the movie, it already filled us with joy and we can’t wait to see the actual action on the big screen. Although Anne Hathaway does not want young girls to watch the film and be inspired to become professional criminals, she hopes the themes of female empowerment will resonate and inspire. It is the picture perfect cast with some savage women all over, fingers-crossed to see this movie at all its glory.